Green means go, Red means stop, Yellow means…Speed up? Yellow actually means slow down, but this is not what is commonly witnessed or practiced. The reasons behind speeding up on a yellow light vary from person to person, but they are not always because a person is in a hurry to get where they need to be. Some people speed up because they feel as though they are too close to the light and will not be able to stop without hurting their vehicle. Some people may speed up because it is raining and they are afraid of hydroplaning. Other people may simply speed up because they feel as though they can catch the light. Yellow lights can be tricky and some turn to red much faster than others do. All of these factors revolve around safety and judgment and just because a person receives a red light violation does not mean that they were in the wrong. What Constitutes as Running a Red Light? If a driver and their vehicle is completely past the white stop bar when the light turns from yellow to red they will most likely not be cited. Sometimes a yellow light turns and it is unsafe for a person to slam on their breaks, therefore going through the yellow light is a safer option. This is when the rule applies that a person needs to be completely past the white stopper mark in order for it not to be considered a violation. This rule applies to the entire vehicle being past the stopper mark. Florida has taken the step of adding red light cameras to intersections in order to stop more people from running red lights. These cameras take photos and record the vehicle running a red light. The fine for running a red light is currently $158 if caught by the camera. If an officer pulls an individual over for running a red light the fine may be more money depending on the circumstances. The problem with the red light cameras is that fines will go to the owner of the vehicle that went through the red light whether or not that owner was actually driving the vehicle. In addition, technologies are not human and cannot testify in a court of law. 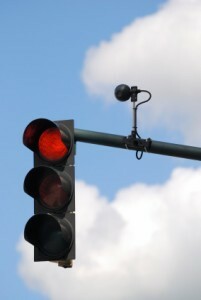 Fighting a red light violation may be in a person’s best interest depending on the points they will receive on their license or the amount of the fine they will acquire. If you find yourself in a bind or if you simply would like to know more about your defense options regarding your red light violation, call us today free of charge. Attorney Albert M. Quirantes has over 25 years of experience fighting red light violations and he is always available to answer the your questions.